VIVALADERBY! are back like a vertabrae with a brand new episode oozing with derby goodness for your ear holes. 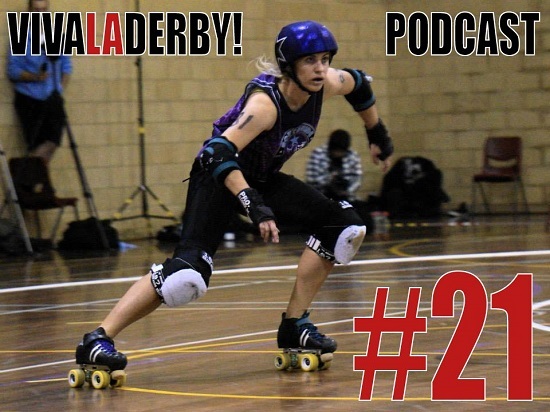 In this episode we discuss all the latest news (not latest, it's a bit outdated) and have a great interview with VRDL's Ruby Ribcrusher. We got a few more episodes just around the corner so listen close and stay tuned to this channel. This episodes epic badassery in photo form is of S2D2's Impure Blonde who was captured by photog Pink Blitz, BK's waaaaiiife.